The Milano three foot high foot end bed is just what you need if you wish to combine solid practicality with a chic and stylish look that pleases the eye. 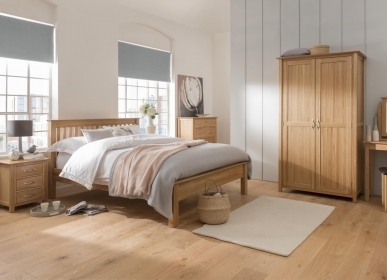 Built of the sturdiest American White Oak by craftsmen employing traditional techniques, it has a smooth and flawless finish that suggests a contemporary style. The Milano 3 foot high end bed will bring a hint of Italian chic to your bedroom.